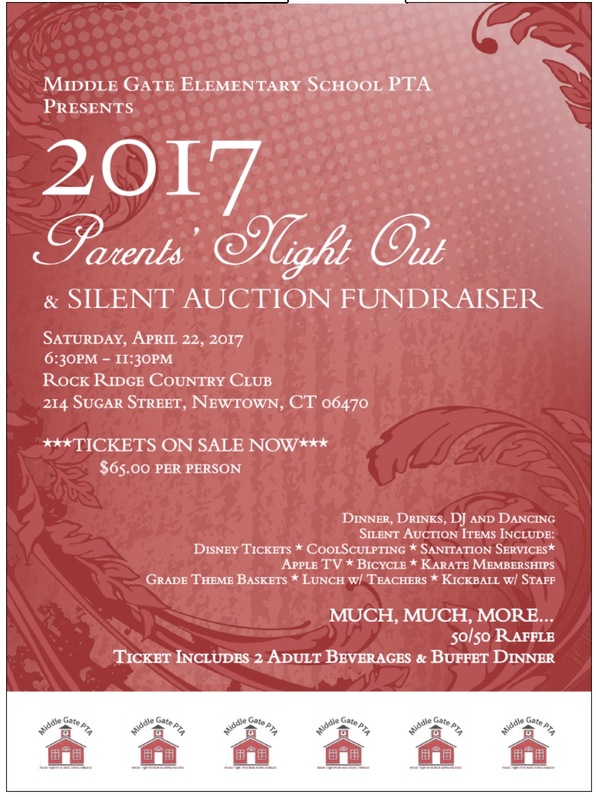 LAST WEEK TO ORDER TICKETS FOR PARENT'S NIGHT OUT! Please remember to vote for the Budget Referendum on April 25th at Newtown Middle School. This year is especially critical due to the tax implications from Governor Malloy's cuts to the towns. Bring a friend to vote and then go have breakfast. Or bring your children to vote and then take them to breakfast before school. Some quality family time as well as helping your community. What a great way to start out the day! Hear Ye, Hear Ye, the First of May has been declared "Principal Geissler Day! We are declaring May 1st Principal Geissler Day at Middle Gate Elementary School. We will be arranging for some of his favorite things, we will be sharing beautiful letters that parents and children have written for him. Our 4th graders are very excited about their Spring Chorus Concert which will take place at REED School. Concert Date: Monday, May 8 at 7:00 p.m. Volunteers needed to help show how appreciated Middle Gate teachers are! Teacher Appreciation week is coming up fast, May 8th - 12th! Over the next week or so we will be looking for help with a few events for that week. We plan on doing a breakfast, flowers, lunch, and some treats for teachers and staff. We are excited to introduce to you the Rooster's Canvas. The Rooster's Canvas website was developed as part of an independent senior project by Kate Luongo at Newtown High School with the goal of encouraging and celebrating the creativity in Newtown's students. 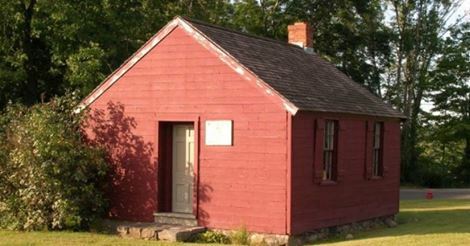 The online museum features "exhibits" submitted by teachers of students' creative work. All work will be reviewed by Mrs. Ragaini of the career center before being uploaded by Kate. For teacher's interested in submitting work, please email theroosterscanvas@gmail.com. Parents and students can view their unique creations at http://theroosterscanvas.com/ or by using the link on the Newtown Public Schools website. Thank you to the people who already stepped up to volunteer committees for next year and those that have expressed interest in being on the PTA Executive Board for next year! If you are currently chairing a committee or event, please PM deborahadeblasi@gmail.com to let me know if you will continue on next year in that role, or if we need to find someone for that position. I tried to list the committees I knew people expressed willingness to run and people who indicated they would stay on for next year. Holiday Boutique Committee: Frances Sorger Wengart. Tammy Figueroa, Michelle Haley, Donna Petersen (Logan Butler's Grandma), Kathleen Shope. Middle Gate Madness: Jennifer Sinapi and Christine Tisi. We would really like more volunteers for this committee so you can shadow it this year and help on the committee 2017-2018. Most events/committees do not take a big investment in time but give a lot back. We have all the information you need to be successful and make it an easy volunteer spot to take over. You are never alone on any volunteer events, there are plenty of people to help or to give you helpful hints and ideas. You can make a big difference in the educational experience of your child and all the students and staff at Middle Gate by being involved as much or as little as you want. There are so many ways to help. Middle Gate Madness is May 19th and in addition to all the events you love, the entertainment will be YOU! Yes, you heard that right. 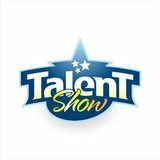 We will be having a "Talent" portion of Middle Gate Madness. If you/your child are interested, start practicing now. A form will come home at a later date but we wanted to give you plenty of time to practice. We have many talented people at MG and this will be a fun way to showcase their talents for all to enjoy! If your child has been recommended for summer support, don't forget to register him/her.